Mr. Vinod Kumar Goenka is the Chairman & Managing Director of DB Realty, one of India’s largest real estate development companies based out of Mumbai. With over 35 years of expertise as a real estate developer, hotelier and industrialist and over 20 million sq feet of development to his credit, every venture that has been undertaken by him reflects his determination to always deliver the best. Having started his career, at the age of 19, by joining the real estate business run by his father in the1980s, Mr. Goenka is the man behind its expansion and transformation into the Dynamix Group. Mr. Vinod Goenka subsequently entered into a Joint Venture with Mr. Shahid Balwa, creating DB Realty. Under theirjoint leadership, DB Realty was listed on both, the National Stock Exchange and the Bombay Stock Exchange in 2010. Gokuldham & Yashodham in Goregaon, Vasant Vihar in Thane, Mahavir Nagar in Kandivali and Shristi inMira Road are some of the path‐breaking projects developed under the helm of Mr. Goenka. The DynamixGroup also backed the creation of the prestigious 140‐acre sea‐side hill‐station luxury project, Aldeia deGoa, under Mr. Goenka’s visionary leadership. The DB Group displayed its social responsibility by developing the extensive 8 million square foot Slum Rehabilitation project at Mahul and handing it over to the government. Mr. Goenka and Mr. Balwa together initiated the diversification of the Group into the hospitality sector under the DB Hospitality banner, constructing the magnificient Hilton Hotel in Mumbai and the spectacular Hotel Grand Hyatt, Goa. Crystal Granite and Marble Ltd. is a 100 per‐cent Export Oriented Unit (EOU) established by Mr. Goenka forcutting and polishing high grade granite and marble. Additionally, the Goenka family owns and operatesthe Schreiber Dynamix Dairies Ltd. in Baramati, one of the largest dairies in India. These are just a few highlights reflecting the wide presence of enterprises set‐up by Mr. Goenka across commercial and industrial verticals. 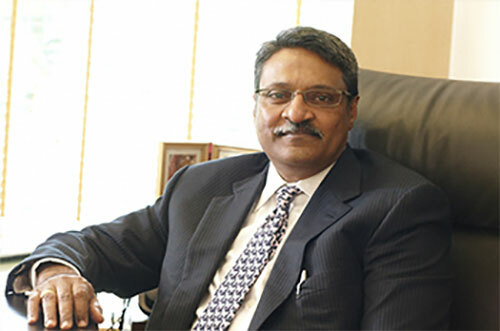 Mr. Vinod Goenka, now in his fifties, has nurtured a dedicated team of professionals to oversee the operations of the DB Group while he also spends his time on a myriad of social and charitable missions. The Goenka & Associates Educational Trust owns five schools and manages six schools, providing education to over 22,000 students across the Mumbai suburbs. The Goenka & Associates Medical Trust provides subsidized diagnostic and OPD healthcare to over 1000 lower to mid‐income patients, daily. The Goenka & Associates Social Welfare Trust owns and manages the Krishna Vatika temple in Gokuldham. From being an active member of the renowned Young Presidents Organisation (YPO), Mr. Goenka graduated to become a member of the World Presidents Organisation (WPO) in 2009. This responsibility complemented his love for travel as he attended conferences across the globe as a representative of the Pune chapter. Being a former national level athlete, he takes a keen interest in various sporting events often travelling far and wide to witness the action first‐hand. An avid art collector, Mr. Goenka has translated his appreciation for the fine arts into his buildings, unmasking the sheer beauty in absolute simplicity. Mr. Vinod Goenka's drive for excellence has underlined his success in all his endeavours, across industries, earning him a spot on the Forbes List of Indian Billionaires.